Originally interested in education, Grace Ann Horner spent many years in the field before finding out that teaching wasn’t the best thing for her. She decided to pursue computer programming instead, and loved the work. Her first position in the field was with Marca Medical Industries, followed by AMC Industries and Block and Co., Inc. Although she retired in 2017, she hopes to be remembered as a steady, loyal, and reliable employee. 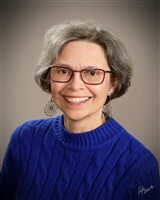 Ms. Horner prepared for her career by earning a certification from the Control Data Institute in the state of Illinois, a Master of Science in outdoor teacher education from Northern Illinois State University, and a Bachelor of Science in elementary education from Northern Illinois University. She then garnered experience as a third grade teacher and substitute teacher in the Round Lake Area Unit School District, a teacher’s aide in the Woodlands School District, the director of adult education in the Northern Oakland County Girl Scout Council, the leader of the Lakeview Girl Scout Council, and an article contributor for the Windsor Area Museum Letter. When Ms. Horner has spare time, she enjoys pursuing interests like genealogy, tai chi chuan, flute, photography, singing, and reading. She is currently a musician in the Palatine Concert Band and the St. Philip’s Choir, a columnist for the Chicago Genealogical Society, and the vestry communications chair of the St. Philip’s Episcopal Church. In the past, she has served as a musician in the All Saints Choir, the College of Lake County Wind Ensemble, and the Round Lake Area Park District Community Band. She was also the president, second vice president, director, and workshop chairman of the Chicago Genealogical Society.